Drinking on Prozac: Is It Safe to Mix Fluoxetine and Alcohol? Prozac and alcohol shouldn’t mix. Fluoxetine, the medicine’s active ingredient, belongs to a class of substances called selective serotonin reuptake inhibitors (SSRIs). These substances interact with the neurotransmitters to help those who suffer from anxiety, depression, and other conditions. To control one’s symptoms, this treatment has to be respected for a long time. Alcohol is considered a brain-altering substance, so mixing Fluoxetine and alcohol can have harmful consequences. How does Prozac (Fluoxetine) Interact With Alcohol? What are the Side Effects Of Drinking On Prozac? Does Alcohol Stop Fluoxetine From Working? Is There A “Safe” Amount Of Alcohol To Drink On Prozac? Fluoxetine is a medication that alters the brain’s chemistry. This substance maintains higher levels of serotonin in the brain by stopping its quick reabsorption. As a result, the user feels less anxious and depressed. Similarly to Prozac, alcohol can also increase the levels of feel-good neurotransmitters in the brain. This is why many people who suffer from anxiety and depression use booze as a coping method. Prozac causes weight gain in rare cases, which might lead to depression and drinking as a coping mechanism. Since both substances produce similar effects, the ethanol and Prozac interactions have a dangerous potential. However, the interactions between booze and SSRIs can sometimes be helpful. Since both substances affect the brain in a similar way, Fluoxetine can actually attenuate the alcohol cravings in some people. While that doesn’t mean one should take Prozac to abstain from drinking, Fluoxetine might help those suffering from alcoholism to give up liquor. Ethanol depresses the central nervous system. As a result, an inebriated person experiences a low blood pressure and heart rate, and reduced breathing levels. Fluoxetine HCl also affects some of these functions. Moreover, a person who abuses Fluoxetine can experience an irregular heart rate, drowsiness, tremors, nausea, vomiting, and even seizures. These effects are very similar to those people experience when they drink too much and suffer from ethanol poisoning. Taking Prozac and drinking is never a good idea. Not only does the booze amplify the unpleasant effects of Fluoxetine, but it can also stop it from working as it should. Alcohol consumption is a risk factor for anxiety and depression. Heavy drinkers often manifest depressive behaviors, and ethanol can prevent the medication from working to its full potential. Drinking bout might lead to fatigue, anxiety, depression, and impaired judgment. That, combined with the Fluoxetine-alcohol interaction, can make one’s condition worse. It’s important to note that one shouldn’t skip their prescribed dose of Prozac just to avoid the dangers of mixing alcohol and fluoxetine. SSRIs are prescribed for long-term use, and skipping a dose might affect the entire treatment process. The daily prescribed amount is necessary to maintain a constant level of fluoxetine in your system and to produce the desired effects. Constantly stopping and restarting the medicine can actually make the patient’s depression worse. So, can you drink on Prozac or not? Well, the short answer is no. You shouldn’t drink while taking Fluoxetine. Drinking while taking even the lowest dose of Prozac can produce unpleasant effects; thus it is not advisable to drink until Fluoxetine is removed from system. As a general rule, it’s best not to consume liquor if you’re depressed. Those who suffer from depression have a high risk of alcohol abuse and addiction. 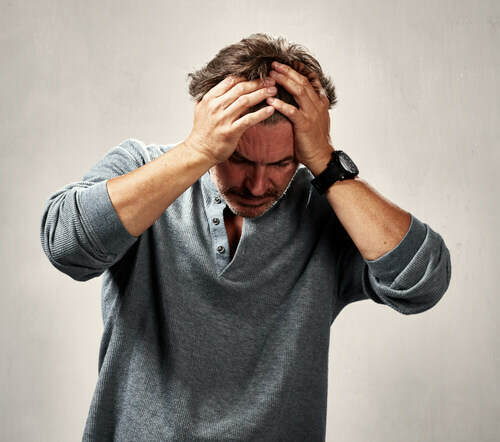 If you have had problems with ethanol addiction in the past, you might need to treat the dependence before your depression starts improving. Depressed people often have trouble sleeping. Booze might seem like a quick solution to falling asleep, but it’s actually not a good idea since it tends to wake one up more often at night. However, sometimes exceptions can be made. You should consult with your physician to see if you’re allowed to have a drink once in a while. Since Fluoxetine is prescribed for long-term use, your doctor might agree to allow you to have an occasional drink, depending on your health conditions, alcohol use history, and other medications you need to take. However, one shall be prepared that Prozac withdrawal symptoms will be more severe if the drug was consumed with alcohol. Prozac and alcohol shouldn’t mix. Booze might interact with the way the antidepressants works in your body which can make your depression seem worse. 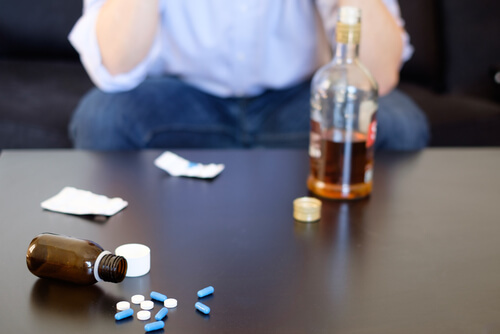 Specialized rehab and addiction centers can help you deal treat your booze or Fluoxetine addiction using advanced therapy methods. Addiction Resource » Addictive Substances: The Anatomy of Drug Addiction » What is Prozac? A Guide to Dangers of Fluoxetine Abuse » Drinking on Prozac: Is It Safe to Mix Fluoxetine and Alcohol?